Agent routing allows you to choose how we should call each agent. Keep Ringing until answer : Keep ringing each agent until answered. 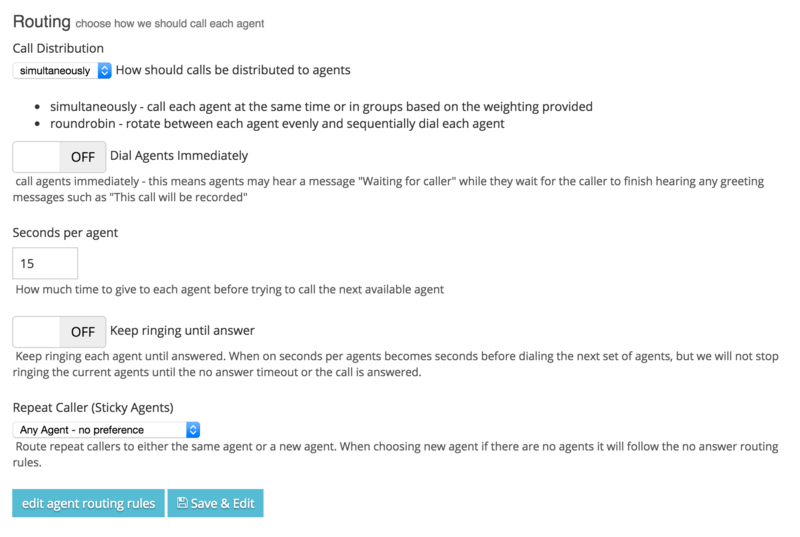 When on seconds per agents becomes seconds before dialing the next set of agents, but we will not stop ringing the current agents until the no answer timeout or the call is answered.